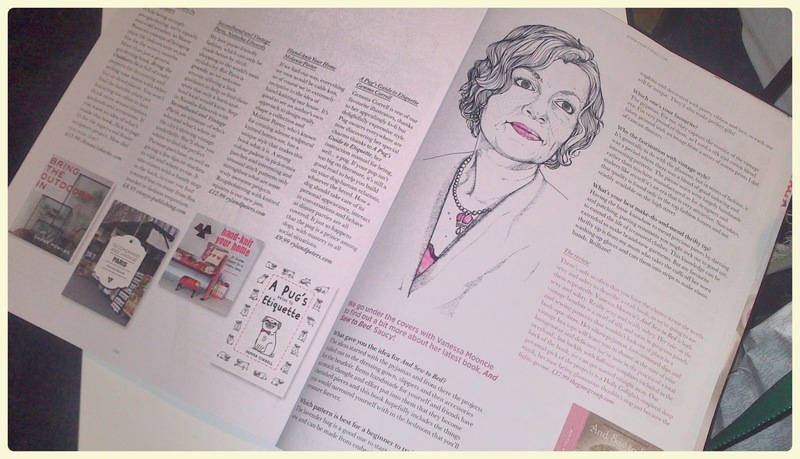 When I first started working in the world of craft publishing there was a huge void between the readership that magazines were focusing on and what was actually going on in the world of craft. Yes, there is an incredibly lucrative market of grannies out there who will spend a fortune on papercraft, yarn, beads, you name it. But the real creatives are the makers and designers of the 21st century. The bloggers. The Etsy sellers. The people who don't actually need to be told what to do, because they're driving the industry forward themselves. These people, however, were ignored by the publishing industry for years. After all, how would they make money? If they're creative enough to be doing it themselves, they don't need our step-by-step projects and they're not going to spend a fortune on all the products that we try to sell through our carefully crafted editorial and advertising. Fast-forward a few years and the publishing industry has finally caught up. Finally you can walk into WH Smiths and flick through an array of magazines which are aimed at creatives, bloggers, thrifters and designer makers. The people for whom craft isn't just a hobby, but a lifestyle. 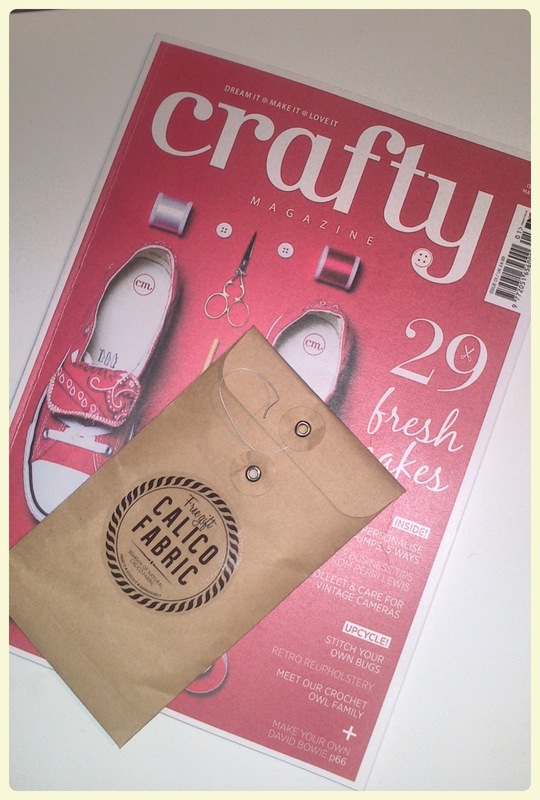 The latest of these magazines is Crafty. Having been out of the publishing loop for a year or so, I wasn't aware of its impending arrival, but I stumbled upon Issue One on its launch date yesterday. I was incredibly glad I did! The thing that most struck me was the design and style. From cover to cover it is clear that the people who put this together absolutely know what they're doing. The front cover is a brave red and white (colours that in my day would be restricted to Christmas only and would have to have included extra photography and a third colour! ), featuring just a pair of customised Converse (an immediate win for me!). I didn't even read the coverlines, I bought it on the basis of the title and the simple imagery. The inside was full of fantastic illustrations in place of photography, white space which allowed all the content to breathe and brilliant writing that was relevant to someone of my skill set, age and interests. There was a good balance of simple projects that most semi-crafters could achieve in an evening without buying extra supplies, complemented by engaging features and interviews with graffiti artists, designers and makers. I read it from cover to cover. The free gift, a piece of calico fabric, though a basic, plain addition to your stash was of a decent size and the project ideas inside actually made me want to put it to good use stitching some covered buttons - as you can see below! 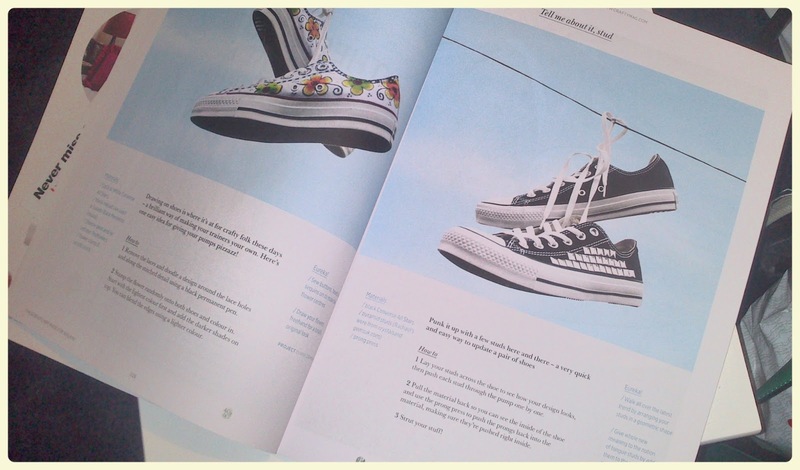 Also impressive was the synergy between the printed edition and the website. Although their website is relatively simple, I think a lot of publishers could learn how to link the two mediums together rather than using the web as a separate entity or afterthought. Overall, Crafty Magazine, I salute you. I will now have to add your magazine to my growing list of 'must-reads' and once again, attempt to justify my monthly magazine expenditure to my husband. Thanks very much!